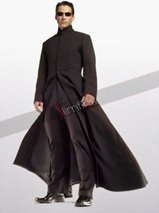 There are a few proverbs in every language concerning dressing according to which, “the cowl does not make the monk”. It would be interesting to research how this saying could have gain ground, since the experience of millennia proves precisely the contrary. Let us just think about it how important our appearance is during a job interview. An entire industrial branch has grown out of this, which has specialized in giving advice to job seekers regarding what they should wear. A long while ago, when the concept of media was not known, when the image of the leaders of the state was not widely known, it was enough for kings to take off their pompous clothes and they were disguised at once. Without her rich garments, a countess instantly looked like a maid. In every era, every culture, it was regulated indeed who had to appear in what, the clothing was the proof of the person’s identity, origin, in certain cases position, profession. Nowadays, both business and social life dictate a strict dress code. Let us imagine a Major General in his “playing clothes”, and beside him, a soldier lad in ceremonial uniform, who is more masculine, whose aura generates more trust. What effect an official would have on us who is wearing a suit, and what influence it engenders if the person in the very same position is wearing a T-shirt, possibly training pants. How much credit an FBI agent has in a suit jacket, and how much in a fishnet T-shirt. If it is not the clothing that makes the person, then why is it that the changed wear of the person in the very same position has a different influence on us? Have you noticed yet how much an individual who is not too masculine in his-her appearance, changes when she-he puts on a suit? No matter whether the person is a bit stunted or overweight, suit makes men, boys and women masculine alike. 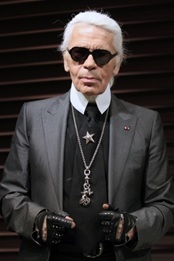 Male suits, but especially male suit jackets, are in an astounding harmony with planetary energies. They highlight everything that is masculine, hide everything that is feminine, and in addition to these, they are cut in a way that they express trustfulness and wisdom. The two masculine energies are the Sun – the father role, creation energy, and Mars – will power, the warrior, the protector. The region of the Sun on the body is the navel and the waist part. Three-part suits highlight this area perfectly. The waistcoat ends at the waist part, and when the two frontal parts end in one peak on each side, then it directs attention to the waist even more. In two-part suits, when the shirt is tucked in the trousers, then the waist part gets a highlight automatically, which we can make even more “manly” by wearing a belt, especially if an ornamented buckle directs attention towards the navel. When the lower part of the tie extends to the stomach, then it also strengthens the area of Sun energy, it directs attention to that area. The area of Mars on the body is the middle part of the chest, it forms an inverted triangle in a way that its central peak is at the part below the sternum, while its upper two corners are the outward edges of the sternum. The lapels of the suit jacket are meant to fortify this area. When the design ends in a peak, the pointed edges strengthen the energies of Mars alike. 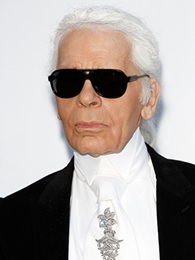 A tie pin, when it is placed at the chest part, due to its metal material again, strengthens this masculine energy. Every metal ornament, button, award on this region increases its wearer’s masculinity. This is why women are crazy about men in uniform, since their masculinity is “redoubled”, or at least the clothing radiates that we are dealing with an Alpha male. Shoulders are the area of Chiron, and symbolize how much burden the individual can carry. The shoulders of male suits are stuffed almost without exception, thereby increasing this area optically and giving the impression that the person carries life’s burdens heroically, she-he does not want to cling on others. It is not just by accident that the underarm part of suit jackets is made in a way so that their wearers are not able to raise their hands. According to gentlemen’s tailors, raised hands are a sign of surrender, and a “real” man will never surrender. The armpits are the regions of the Moon, which is the energy of a caring, receptive woman. Men’s suit hides this area, it does not let it manifest, since feminine energies have nothing to do on a man’s manly clothing. The other area of the Moon are breasts, which usually do not happen to be present in men, but the pocket on suit jackets on the area of the breasts ensures that the feminine energy is always covered by all means. Saturn is the energy of perseverance, career, faithfulness and its areas are the arm, the hands. 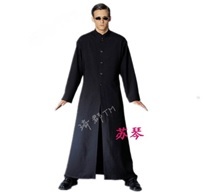 The sleeves of male suit jackets are simple and straight, just like Saturnian energy. A watch on the wrist is also the synonym of Saturnian predictability, trustfulness. The watch is a status symbol! Businessmen always look at each other’s watch, what brand it is, how much it costs. 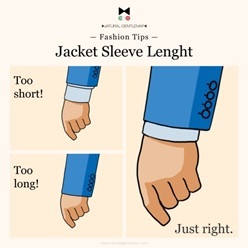 In traditional suits, the sleeve of the shirt is usually one inch longer than the sleeve of the suit jacket, forming a circle around the wrist. This endows the individual’s hands with the energy of the Sun symbolically. When the shirt is ornamented with a cuff, then this masculine energy is further increased. Hands always symbolize what we give to the world. Well, which woman could resist the above enumerated? 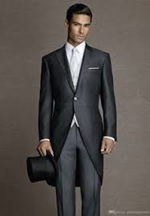 The male suit makes its wearer masculine, attractive. Let us remember the members of Maroon 5 in the song titled “Sugar”, where they appear in suit. 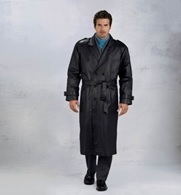 But men’s suit jacket has still things to hide and show. The hips are the area of the seductive woman, of Venusian energy. The traditional suit covers the hips, it does not let them bulge, it does not give space to the feminine energy. For ladies, this masculine garment becomes feminine when the length reaches only to the half of the hips and lets this area bulge from under it. 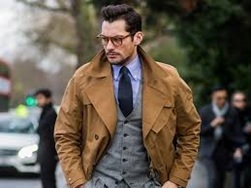 When a male suit jacket ends at the area of the hips, which, unfortunately, has become fashionable these days, it has a little feminine atmosphere. I understand that in large-scale industrial production, gaining those couple centimeters means a lot financially, but clothing on the upper part of the body indicates what its wearer wants to give the world. Gentlemen, if you want to conquer with your femininity, let it be a hip-suit jacket, but who wants to be considered a man, should pay attention to the length of his business jacket! The atmosphere of waist-length tops is entirely different, since the waist gets emphasis, which is the region of Sun energy, and that is the energy of the leader type man – see toreadors, Spanish dancers, Elvis Presley. Tails were also meant to highlight this by having their front part reach the waist. But why did the back part of tails get considerably longer than the length of average suit jackets? Because the area of the thighs is the place of Jovian energy. Jupiter is the energy of a life with excessive indulgement in pleasures, but also that of wisdom, of rising above. The hanging wings of tails widen this area, they emphasize it. Suit jackets which are longer, which reach below the middle of the thighs, also fortify this area, the Jovian attitude to life. Where the garment ends, is where it attracts attention to, it strengthens that region. If the article of clothing lets the surface of the particular body part be seen clearly, it again strengthens the energy which is characteristic of that area. When the garment is looser, when it covers the particular region, it restricts the energy which the particular area circulates. When a suit jacket ends at the knees, it fortifies Saturnian energies. Clothing reaching to the middle of the shins, circulates Mercury, which is communication, thinking, business. 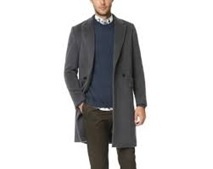 When a man’s overcoat is so long that not even his feet are visible, it carries Neptunian energies. Neptune is the representative of the world of tales. 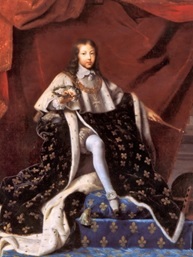 Let us evoke kings’ portraits, where clothing ended in a train. Even though the king “puts out” his legs, the ample material, as it is rippling around his legs, makes the mystery of Neptune perceivable. The characteristic of Neptunian garments is that the feet cannot be seen – mermaid-effect. Trousers are an indispensable component of an elegant suit, but I will expand on it in another chapter. The trousers of an indeed elegant suit are straight, they express in fact that their wearer expects respect from his-her entourage. With what we wear below the waist, we indicate what we expect from our fellow humans, how they should behave towards us. A straight line is the energy of Saturn – faithfulness, respect, perseverance. Creases on trousers strengthen the energy of Mars, therefore the wearer of a simple-lined pair of trousers with creases wants from her-his entourage simply that they RESPECT HIS BEING A MALE. 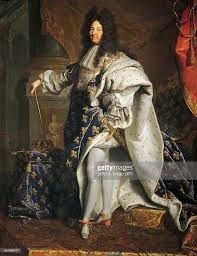 And the trousers of Louis XIV show clearly that their wearer wishes to be admired, he wants people to be surprised at his eccentricity! With his wear, he has been exerting this effect to this very day. Shirts and ties are indispensable parts of appearing in a suit, but I will discuss them in a separate chapter. 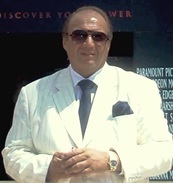 Of course, it is possible to fill up a particular area of a suit jacket with different energies. A roll-collar, a standing collar have different meanings, just as buttons, but this also constitutes a different writing. From the variations of wearing shirt sleeves, which one is more masculine? 1, The traditional, buttoned-up one. 3, The pulled-up, wrinkled one. The traditional one circulates the energies of Saturn, which is asexual. The loose one Mercurial relaxedness, which is androgynous energy. The pulled-up, wrinkled one strengthens the energies of the Moon, which is feminine energy. The answer therefore is the 4th one, since it supports the energies of the man, of course, the model in the picture does not have a lack of them, but still during a conversation, he will wear his shirt sleeves probably according to how he wants to influence his partner.